Two weekends since my last post! I’m terrible. Sorry Mom. I’ve been way too busy being a good girl, doing homework and studying. 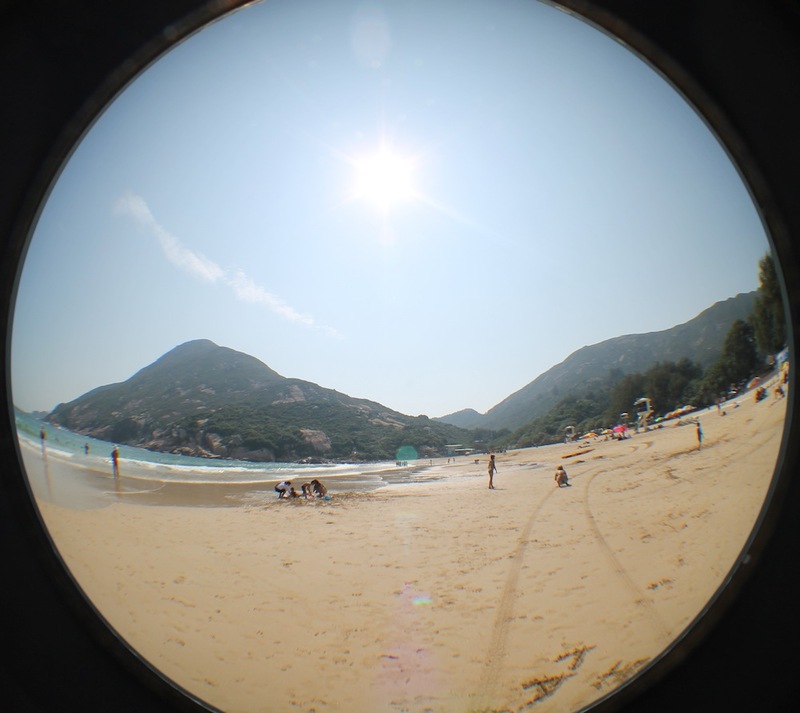 Last Friday I went to Shek O, on Hong Kong Island, which is pretty much the best beach in all of Hong Kong. Man, I love not having class on Fridays. Getting there isn’t even that bad, just a couple of buses. It was such a perfect day. The sun was shining but it wasn’t too hot, there were hardly any people, the water was warm, the sand was unbelievably soft. Honestly, I could have laid right down on the sand instead of my towel and it would have been just as comfortable. Out in the water, they’ve got these huge raft things, so we swam out there and just sat for awhile. It was so relaxing! I really need to take advantage of this weather while I can and go back. There are a few little restaurants right by where the bus lets you off, and we decided on a little Thai place called Happy Garden. I was pretty stoked, since it had been awhile since I had Thai and that’s pretty much my favorite. 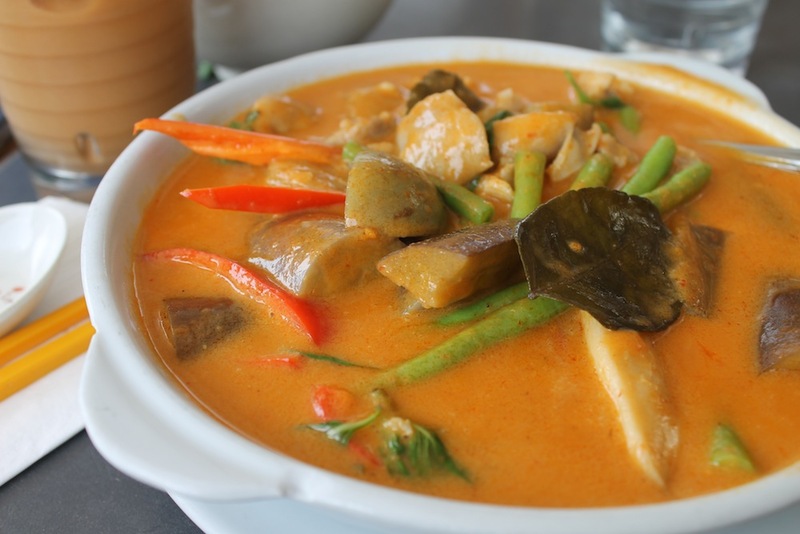 I got red curry, my favorite food ever, and it was aaaaamazing. Full of eggplant, green beans, bell peppers – everything I love. I was in heaven. Seriously, perfect day. A couple weeks ago, I came across something called a hotchocspoon. 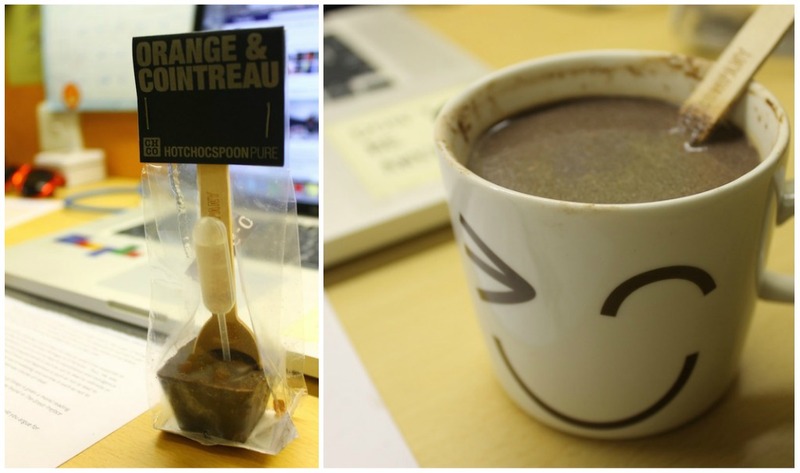 My Dutch friend was all excited, because it’s made by a Dutch company; basically it’s a huge chunk of chocolate stuck on a spoon that you melt into hot milk to make the most amazing hot chocolate ever created. I made it the other night while I was studying for a (super dumb/easy) midterm…. so delicious. Apparently they make like 75 different flavors – the store where I saw it had maybe 20, but it was still a huge decision. They have regular things like milk, dark, hazelnut, but also crazy flavors like green tea, blackberry, tiramisu, and cardamom. Then they have ones with alcohol in them! It’s got a little plastic bulb of alcohol that gets released as the chocolate melts – what a cool idea! I finally settled on orange and Cointreau. It was dark chocolate with pieces of candied orange peel, with just enough Cointreau to give it a really nice orange flavor without overpowering the richness of the chocolate. Seriously the best hot chocolate I have ever had. On Friday, I decided to do some more solo exploring of the city. 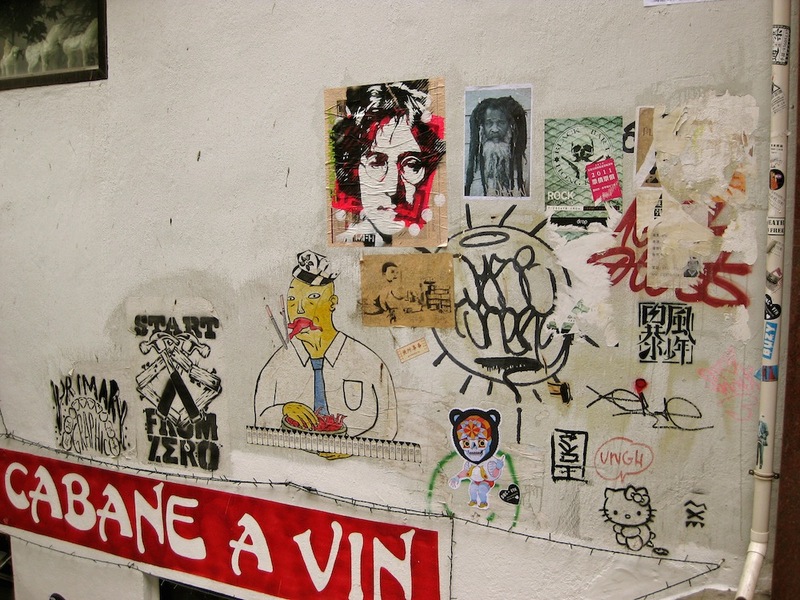 I went to Soho, which, in Hong Kong, means south of Hollywood Road. It’s a pretty trendy hipster-type area, with plenty of overpriced boutiques, but also a handful of super cool vintage stores. I didn’t end up buying anything, but there was some pretty cool stuff to look at – old suitcases, 1970’s Dior sunglasses, battered leather boots and rotary phones. I thought vintage stores in Hong Kong might be a bit different, but honestly they had pretty much the same stuff we’ve got at home. Enter stage left: Halloween. 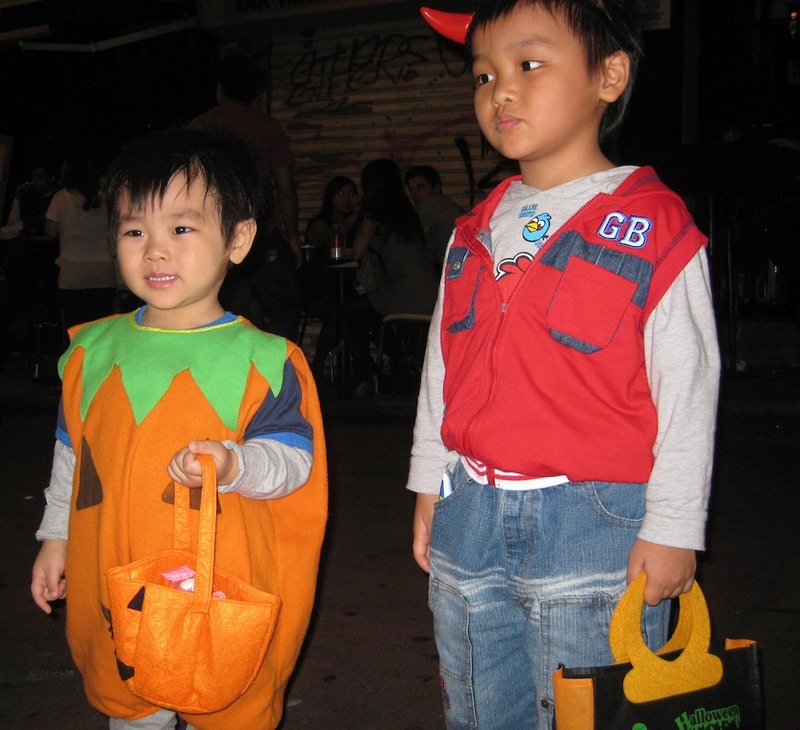 I’ve been hearing nonstop about how Halloween is such a big deal in Hong Kong, which I wasn’t expecting. Everyone says, “They go crazy here!” “Professional costumes and makeup!” “It’s insane! !” That was only party true. Saturday night, we head over to Lan Kwai Fong, the area full of bars and clubs that’s usually all foreigners. There were plenty of locals that night, sure, but not to celebrate. They come to gawk at the crazy white people wearing costumes. I went as Buzz Lightyear, and I felt like a celebrity. Literally, I couldn’t walk anywhere without being completely bombarded by cameras. Everyone wants a picture of you or with you. At first, it was kind of funny and cool, but after awhile it was really just annoying. They walk up to you and shove cameras in your face! The worst is the people with kids. It’s a few streets of just bars and drunk people, and parents bring their little kids and ask you to take pictures with them. Sure, they look adorable, but they should not be in Lan Kwai Fong on a Saturday night. They trick-or-treat, but completely backwards. Little boys would come up to me, say “trick-or-treat!” and then hand me a piece of candy from their bag. I have no idea how or why that tradition got changed, but it was very strange to experience. Sunday was a day to relax. 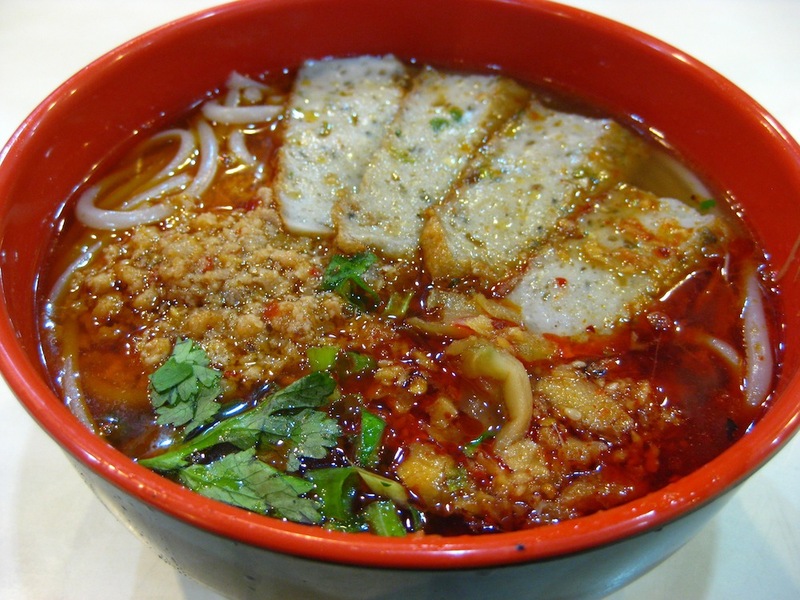 For dinner, I tried out a place close to the dorm called King of Noodles. 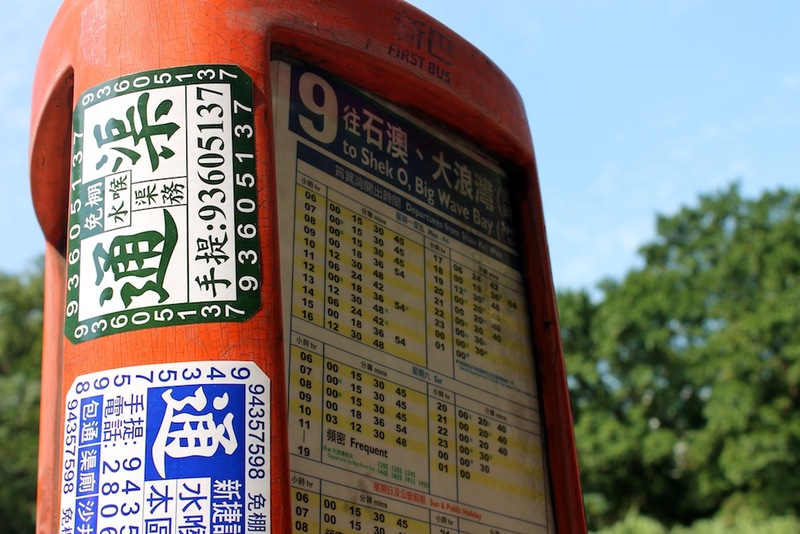 I will definitely be going back – it was so cheap, and they had fish cake. Not the super artificial pink kind, either, but the good stuff. The only thing I really like about eating meat again is being able to have everything I loved as a kid. That means fish cake, cha siu bao, duck, dried squid, and siu mai. Especially siu mai. I really have a problem with that stuff, especially the fish kind you can get on the street. They are seriously the best snack. I found a place really close by that sells siu mai and all sorts of other street food until 3am… very dangerous. I will really have to limit my midnight snack intake. That stuff is too delicious. I really can’t believe it’s almost November. I go home in exactly two months… how depressing. I want these next two months to go by so slowly, but I know they’ll fly by just like September and October did. Le sigh. I don’t want to leave. This entry was posted in Hong Kong and tagged bell pepper, chocolate, curry, eggplant, green beans, orange, street food, Thai by Alyssa G. Bookmark the permalink.